Call and make your appointment today, (901) 373-8182. You may also book online at your convenience by clicking here. Vanity Salon is a specialty hair salon located in Bartlett, Tennessee offering you the best of the best hair stylists recruited from all over the greater Mid-South. Vanity Salon became a salon in November of 2012 with the inspiration of providing a fun, classy and pampering experience for all that walk through the door. Walk-in guests are always welcome. Make sure to Like us on Facebook for deals and news. Our stylists are one of a kind, modern, well-educated women who strive to make each and every client happy when they leave the door. Janean Roberts loves doing it all, from special event styles, color, and keratin treatments. She has the best reputation for her shampooing skills. She takes great pride in all her work and assures that you will have fun during your experience, and leave the salon confident about your hair. She spends a good amount of time with each client in hopes of fulfilling all their hair needs. Janean attends hair shows such as The Premiere Birmingham hair show in Birmingham. Janean has been with Vanity Salon since December of 2012. Emily Cohen has been a hairstylist since 2011. She is known across the Mid-South for her wedding style talents. She is a healthy hair advocate, wedding 'do enthusiast, and thrives on boosting the self-esteem of everyone who sits in her chair. Emily schedules her own appointments. If you would like to b00k with her, please call or text her at (901) 870-2619. Courtney Barron is an experienced stylist who has good customer service and gets to know her clients really well. She specializes in haircuts and fantasy colors. She takes her time and makes her clients feel pampered. She is always up for a fun challenge with fantasy haircoloring. She is upfront and honest with what would be best for her clients' hair. Courtney attends hair shows such as The Premiere Birmingham hair show in Birmingham. She is Brazilian blowout certified. Courtney has been with Vanity Salon since October of 2014. Lindsey Meeks is a professional, well-mannered stylist who tries just about anything her clients ask for. Lindsey does what it takes to make her clients happy and leaving the salon feeling beautiful. Lindsey specializes in foil highlighting and men's haircuts. She attends hair classes including the Premiere Birmingham Show in Birmingham, AL. She is certified in Brazilian Blowout. Lindsey has been with Vanity Salon since January of 2015. Emily is a young, energetic, hardworking stylist who is up to date on all the modern hairstyles. She frequently attends hairshows including a color summit in Los Angeles, California given by the American Board of Certified Haircolorists and also annually attends the Premiere Birmingham Show in Birmingham, AL. 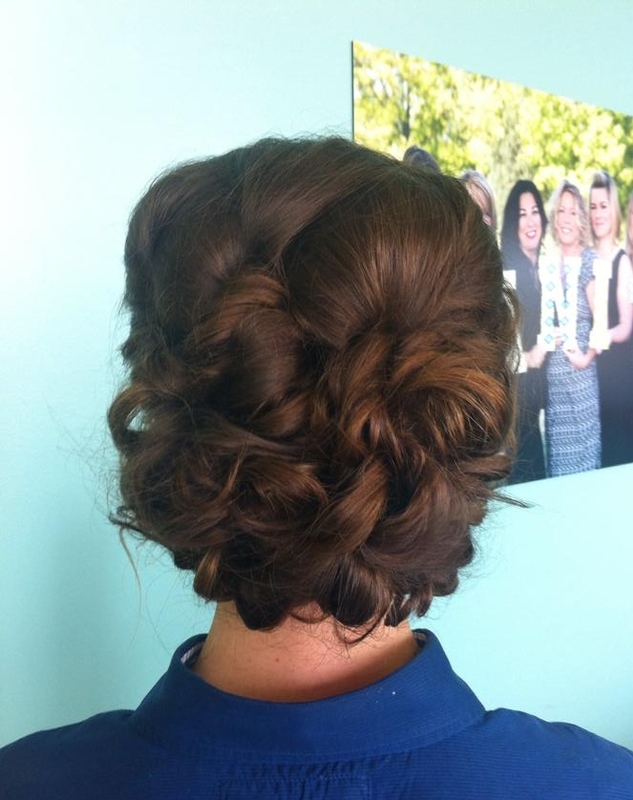 Emily specializes in braiding, curly hair, updos and haircolor. She takes her time with her clients and pampers them at the shampoo bowl. She has had lots of experience with apprenticing under a Board Certified Haircolorist and does very accurate haircoloring. She is certified in Brazilian Blowout. Emily has been with Vanity Salon since March of 2014. Myleah Rose is a young and social cosmetologist. She is up-to-date with modern color techniques. She specializes in makeup, balayage and foiling. Myleah has worked at previous salons, acquiring great hands on experience. Myleah has been with Vanity since September of 2016. Katherine Arthur is a young and creative stylist. She stays up to date on the latest trends and is always ready to try new techniques. She loves to do highlights and balayage. She also loves to do up do’s for special occasions as well as makeup. Katherine loves making people look and feel beautiful. Katherine is Brazilian Blowout certified. Her favorite part about being a stylist is meeting new people and seeing the transformation a new color or style can bring to her clients. Katherine has been with Vanity since January 2019. Anne Marie has been a stylist since 2010. She specializes in balayage, foiling, and men’s cuts as well as loves coloring hair red! Anne Marie attends continuing education classes, including the Premier Birmingham in Alabama. She has experience in barbering as well as earning her certification in Brazilian Blowout. She is a quiet and laid back stylist that enjoys providing her clients with a more relaxing experience. She has been with Vanity Salon since July 2018.
is seasoned, experienced, and well-driven stylist. Her favorite is making clients blonde! She frequently attends hair shows such as the Premiere Birmingham in Alabama. Kim is straight forward and honest with her clients in helping them choose what look is best for them. Kim is certified in Brazilian Blowout. She gives vigorous shampoos, too! Kim has been with Vanity since April 2017. Sarah Livesay is a well-experienced stylist with a large clientele who works hard and is best at working in clients. She is best at waxing, hair color and hair styling. She does a variety of clients and relates well to each individual person. Sarah attends hair shows such as The Premiere Birmingham hair show in Birmingham. She is certified in Brazilian Blowout. Sarah has been with Vanity Salon since we opened in November 2012. McKenzie Evans is a board certified colorist who regularly attends hair classes, including the Energizing Summit Color Show in Los Angeles, CA and annually attends the Premiere Birmingham Show in Birmingham, AL. McKenzie is Brazilian Blowout certified. She is great with customer service. McKenzie's areas of expertise are hair coloring, dry hair cutting, flat-ironing, and keratin treatments. 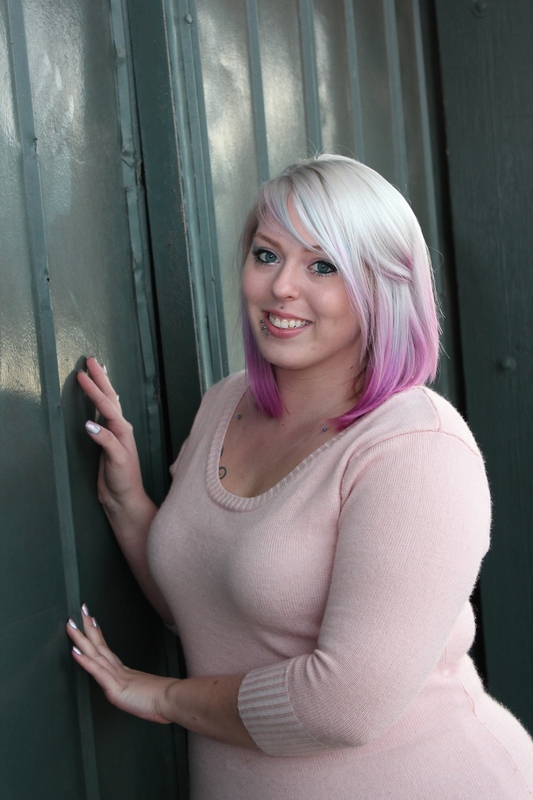 McKenzie has been with Vanity Salon since opening in November 2012. She is not accepting new clients at this time, as this gives McKenzie’s dedicated clients of many years more opportunities to book with her. Eugenia has been a stylist for 33 years. She loves to help make clients look and feel their best. She regularly attends hair shows, such as the Premiere Birmingham in Alabama. Eugenia believes the industry is always changing and wants to keep up with what's current. She specializes in and loves cutting, perming, and coloring hair. She listens well to what her client is wanting and works out a style that is best! She is certified in Brazilian Blowout. Eugenia has been with Vanity since April 2017. We carry a great selection of products that can only be purchased from a salon, and have a knowledgeable staff that would be happy to help you choose the best one for your hair. Our most popular brands are listed below. HaloCouture Extensions offers you a totally unique and delightfully simple way to add thick, gorgeous length & volume instantly. For more information about this product line, click here. ColorProof utilizes extraordinary next generation sulfate-free, salt-free surfactants to super gently cleanse hair without stripping color along with a variety of other key ingredients to deliver unsurpassed color and heat protection, and incredibly shiny, vibrant, healthy hair. For more information about this product line, click here. amika—meaning "girlfriend" or "friend" in a number of languages—lives up to its name as hair's best friend. Designed in New York, amika creates intelligent products that encourage creativity and promote healthier-looking hair. Infusing the latest technology with a creative edge, amika hair styling tools are born to perform and live to impress. For more information about this product line, click here. Moroccanoil is an ultra-light formula which is absorbed by the hair instantly, resulting in a natural, silky finish and brilliant shine. Moroccanoil has the ability to restore over-processed hair damaged by environmental factors and chemical procedures - it also revives, hydrates and detangles hair, wigs and hair extensions. For more information about this product line, click here. Keune has everything to suit your individual needs, including a color care line and a men's care line. All of their products are color safe and amazing for your hair. They also have a specialized design line of styling products to help give you the look you desire without damaging your hair. For more information about this product line, click here. u-smooth is a fashion forward line of professional products & styling tools focused on empowering and inspiring. Each hybrid product and tool is designed to serve more than one purpose so that no matter what look you are going for, u-smooth can help you achieve it. For more information about this product line, click here. Crack is a habit forming hair fix! It is a gentle, nourishing product line that helps reduce breakage and improves texture with de-aging nutrients to restore youthful shine. This addictive multi-tasker moisturizes the entire hair shaft to protect the hair from dryness, thermal styling, and humidity. For more information about this product line, click here.